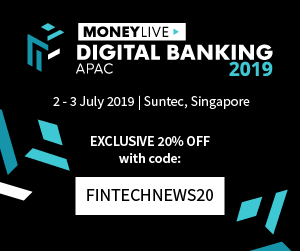 Striving to establish itself as a prominent fintech player, Malaysia has committed to provide clear guidance and regulation to the new, innovative products and business models entering the financial services industry. In October, Bank Negara Malaysia (BNM), the country’s central bank, issued the Financial Technology Sandbox Framework which sets out the requirements for participating in the regulatory sandbox. 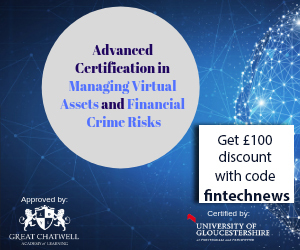 The sandbox, a concept that isn’t new to the UK, Singapore and Australia, allows regulatory flexibilities to be granted to financial institutions and fintech companies to experiment with fintech solutions in a live controlled environment which is accompanied by the appropriate safeguards, for a limited period. “The Framework reflects the Bank’s long standing policy in striking an optimal balance between promoting innovation whilst preserving financial stability and protecting consumer interest,” commented Bank Negara Malaysia’s chairman financial technology enabler group, Aznan Abdul Aziz. BNM has also been quick to propose a regulatory framework to facilitate equity crowdfunding, becoming the first country in Southeast Asia to do so in 2015. By 2016, six equity crowdfunding platform operators had been registered and licensed by the Securities Commission Malaysia. Amid the rise of fintech in Malaysia, we take a look today at the country’s 10 most prominent and promising fintech players. We tried to get a mixed between established one and the new young players. Feel free to comment if we might have missed a hot one. 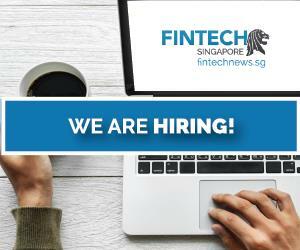 Founded in 2012, Soft Space is an award-winning fintech startup that develops solutions for the e-banking and payment industry. With 20 operational sites across Southeast Asia, the company serves some of the leading banks in the region. In 2014, Soft Space received a grant of US$5.6 million from the Malaysian government to expand its R&D capabilities. The company has won multiple awards including the Red Herring Top 100 Asia 2014, Merit Winner of the WITSA’s Global ICT Excellence Awards and APICTA’s Best Start Up 2013. ManagePay Systems Berhad (MPay) is a fintech company in Malaysia specializing in payment and money services to enterprises. More specifically, MPay provides end-to-end electronic payment solutions to banks and financial institutions, merchants and card issuers with operations in Malaysia. In 2015, MPay was granted a license by Malaysia’s central bank Bank Negara Malaysia (BNM) allowing the company to issue e-money as part of the MPay Balance virtual account and the MPay MasterCard Prepaid Card. The company also offers loyalty programs, as well as e-commerce and m-commerce solutions. MPay is currently listed on the ACE Market of Bursa Malaysia with market capitalization exceeding RM140 million (US$31 million). In November 2016, MPay was granted a peer-to-peer financing platform operator license, hinting on the firm’s next big move. GHL Systems is a leading end-to-end payment services provider in Asia Pacific with over 400 employees across offices in Kuala Lumpur, Bangkok, Manila, Sydney and Wuhan. GHL deploys products and services to clients in various industries including banking and financial services, oil and gas, retail, telecommunications and transportation. GHL is listed on the Kuala Lumpur Stock Exchange and accredited by organization and government bodies such as Visa, MasterCard, JCB, MEPS, PCI, SIRIM, SPVA and the Line Encryption Working Group. Founded in 2008, Tranglo serves over 250 mobile network operators and more than 400 banks, offering three main products: Prepaid Reload, Money Transfer and Digital Gifts. Prepaid Reload is a single reload card, which enables the sale of airtime credit from and to multiple mobile network operators. Money Transfer is an international money transfer transaction hub. The solution enables licensed remittance companies to transfer money from one country to another to various bank accounts or mobile wallets instantly. In 2013, the company processed over 10 million transactions worth over US$70 million. Tranglo has offices in Kuala Lumpur, Jakarta, Dubai and London. Ethis Kapital claims to be the world’s first and only licensed Islamic crowdfunding peer-to-peer platform. The company has recently been granted a peer-to-peer financing platform operator license by the Securities Commission Malaysia. Its crowdfunding platform has yet to go live. 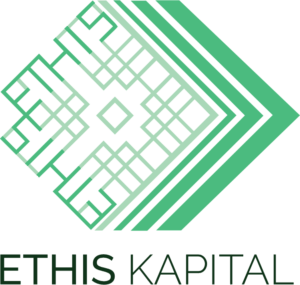 Ethis Kapital is part of a broader group that focuses on Islamic financing solutions and crowdfunding platforms. Affiliated platforms include Ethis Crowd, an Islamic real estate crowdfunding platform, Kapital Boost, a crowdfunding platform, and the Muslim Women Tech, a platform dedicated to Muslim women. Crowdo is a fintech company specializing in crowdfunding solutions. The firm focuses on the Southeast Asian market and currently operates in Singapore, Malaysia and Indonesia. Founded in 2013, Crowdo is one of the region’s longest running and largest crowdfunding platforms with over 17,000 members, as of Q3’15. The firm has offices in Kuala Lumpur, Singapore and Jakarta. Crowdo Malaysia is licensed by the Securities Commission Malaysia to offer equity crowdfunding. 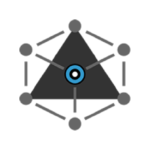 Based in Kuala Lumpur, Neuroware (R1 DOT MY Sdn Bhd) is a blockchain startup that develops tools and protocols for businesses. Neuroware also provides training and private education workshops to large institutions, government bodies and regulatory agencies. The company has developed Cortex, a blockchain-agnostic operating system which is currently being used by ATA-Plus, a licensed equity crowdfunding platform in Malaysia, to store structured immutable records of issuers, deals and investments. Neuroware is a graduate of the infamous 500 Startups accelerator program. Established in 2012, iMoney Group (Intelligent Money Sdn Bhd) is fintech firm that operates a network of financial comparison websites. The group is headquartered in Kuala Lumpur and has operations in Singapore, Indonesia, the Philippines, Hong Kong and Thailand. Serving over 10 million customers, iMoney lets users compare and apply for credit cards, loans, broadband and insurance products. The firm has raised US$6.5 million in funding so far. 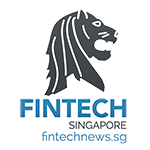 Fintech startup MoneyMatch currently offers two services: MoneyMatch Travel, a free and easy-to-use website travel information portal, and MoneyMatch Exchange, a mobile-based communications platform for physical currency exchange. MoneyMatch Exchange lets users exchange currencies at midrate, saving up to 3% on all transactions. The app matches those who want to change one currency in exchange for another currency without needing an intermediary. The company is working on a third product called MoneyMatch Transfer. MoneyMatch Transfer will be a digital peer-to-peer communications platform for currency exchange that will let users to electronically transfer currencies within bank accounts in different countries. It will be launched as a web portal built using blockchain back-end technology. 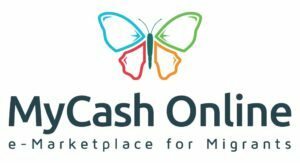 MyCash Online is an online marketplace designed for Malaysian and Singaporean migrants. The platform offers easy, secure and convenient online services to the foreign workers who do not have access to online banking or credit cards. MyCash Online provides end-to-end online services, enabling users purchase bus tickets, air tickets, mobile top-ups, international reloads and even pay their bills. MyCash Online is one of the finalists of the Fintech Finals 2017. By what metrics they’re top in? I simply can’t believe that GoBear isn’t mentioned as it is the only independent and unbiased comparison website unlike iMoney which is just another online broker comparing what it sells and selling what it compares. Gobear is the first company approved under the malaysian regulatory sandbox and you dont have them in this list?? Even a 5 year old is called a startup.